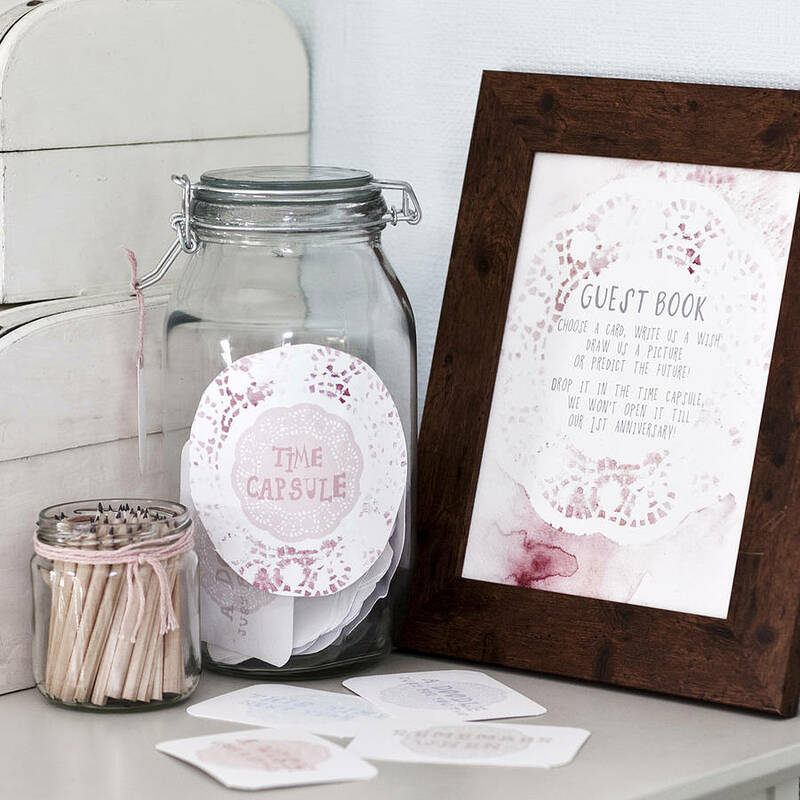 A little tin box or a wooden container, keeping safe your wedding wishes from the loved ones? Add to that the instruction of opening it one year later to the day for an extra element of excitement on your first wedding anniversary. You and your loved one are fans of music – so much so that you would love to incorporate a musical element in your party décor. 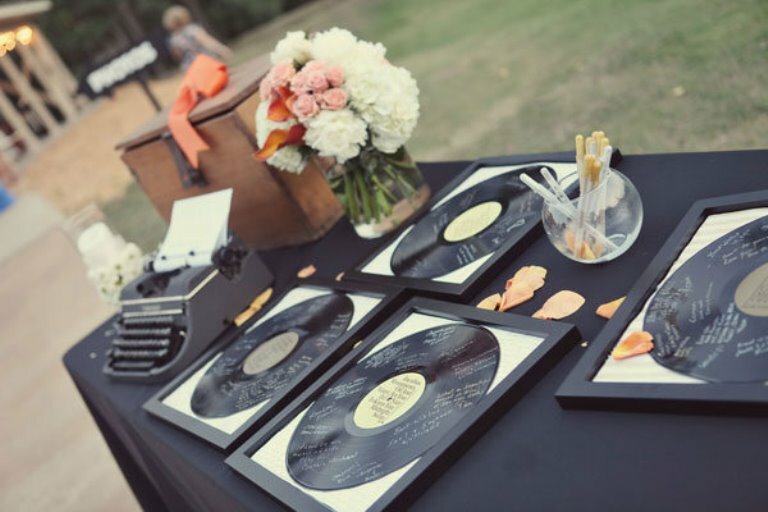 And what better way is there than opting for a vinyl guestbook, where guests can leave their best wishes? Being crafty defines you and you certainly love a good DIY project? 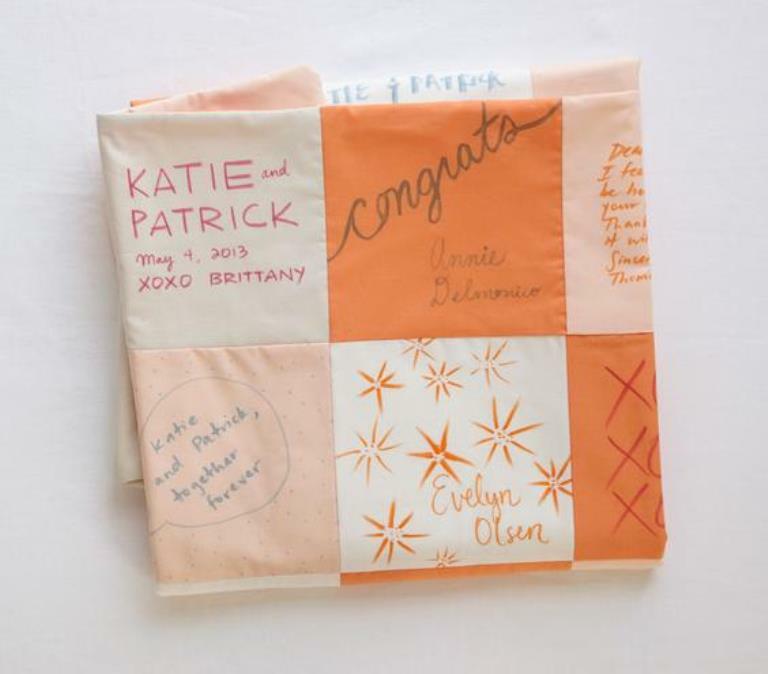 Then a quilt guestbook may be a fun idea for you: let your family and friends sign and offer you their best on something you’ll use and hold near every day! 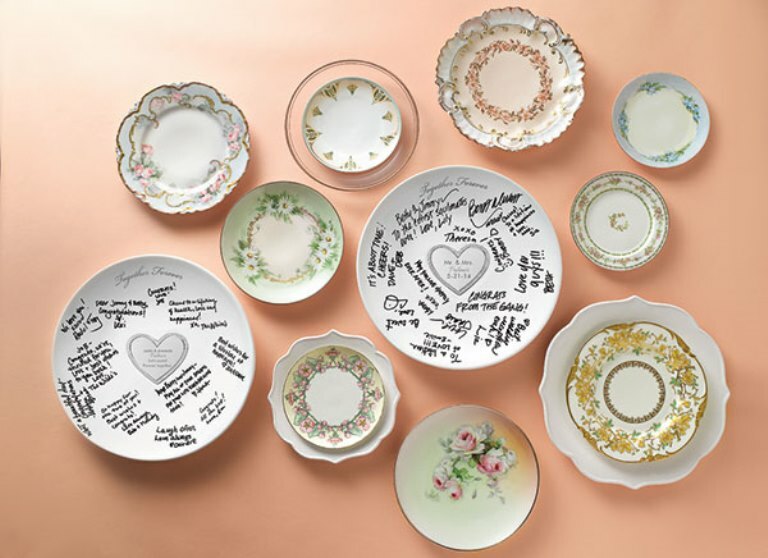 If you already opted for a vintage style wedding with lots of romantic details, then this is one of those wedding guest book ideas that need your attention: plates and platters can serve (literally) as your platform for best wishes and advice. And since we’re already in the vintage / nostalgic area, then how about some gorgeous old postcards on which guests would be inspired to write meaningful messages?